Spend the week of your choice delving into one or two seminars in-depth. 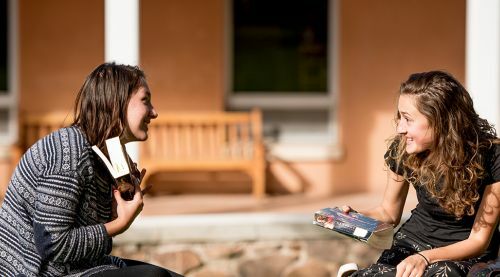 Take one seminar in the morning or afternoon, and spend your free time re-reading for the next day’s seminar or exploring the city and mountains of Santa Fe—as well as our beautiful campus. Or take two seminars and spend your mornings and afternoons in class. By signing up for the Science Institute or Lessons in Leadership, you will automatically be enrolled in a morning and afternoon seminar. Santa Fe Opera orchestra section tickets are available to Summer Classics attendees at a reduced group rate. Tickets may be purchased when you register or until sold out. Van transportation from the campus to the opera is $10/person per opera. To attend pre-opera talks, you must arrange your own transportation. For more information about the Santa Fe Opera, visit santafeopera.org.